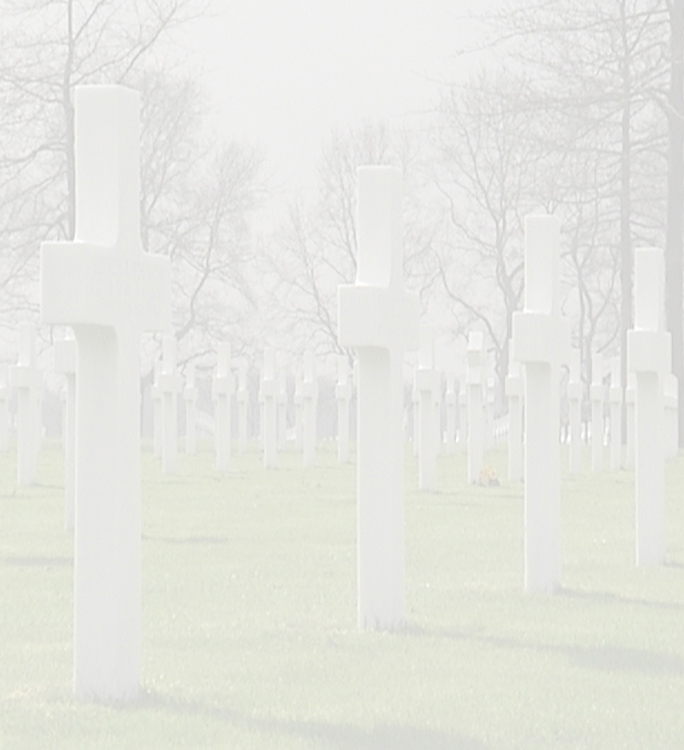 Words cannot express the gratitude and admiration I have for Mr. Jo Smeets, his family and all those who have adopted the graves of our loved ones. 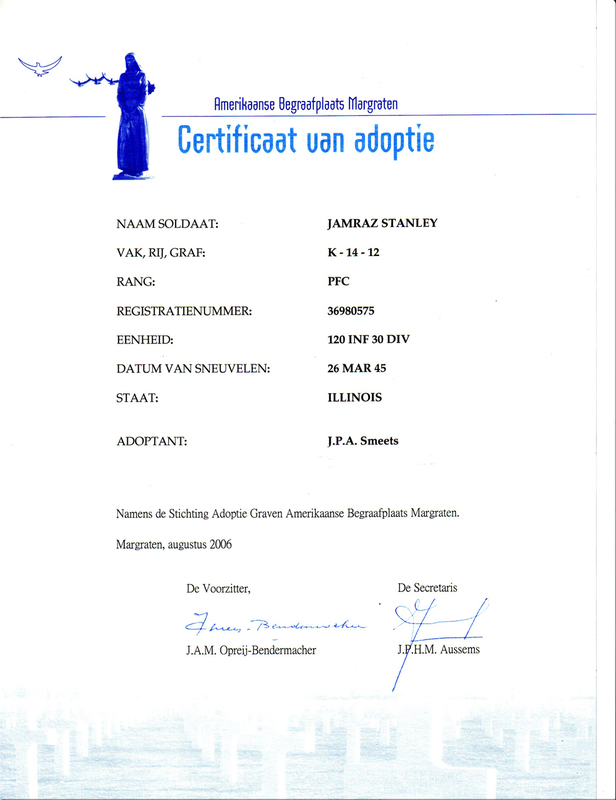 I'm certain it took Mr. Smeets considerable time and effort in locating our family to send us pictures and to let us know that he adopted Stanley's grave. Pfc. 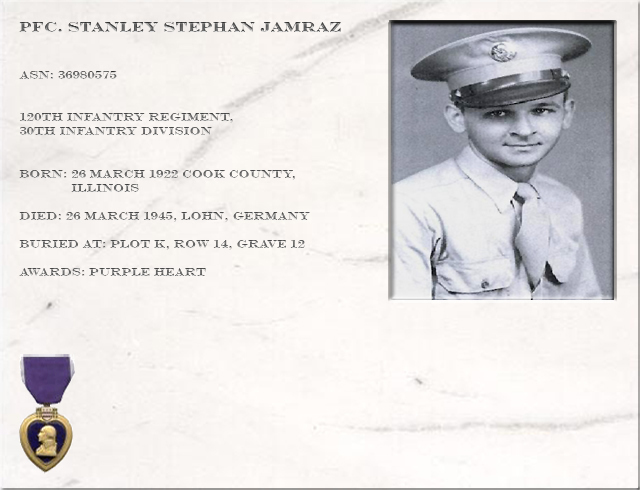 Stanley Stephan Jamraz, 120th Infantry Regiment, 30th Infantry Division was killed in Lohn, Germany, on his 23rd birthday, March 26, 1945 . 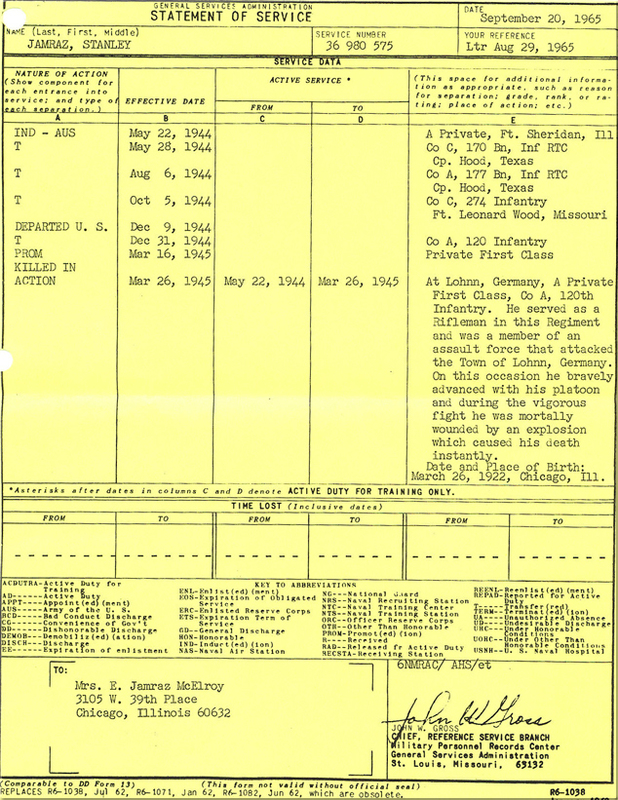 His younger brother Joseph was already serving with the 115th Infantry Regiment, 29th Infantry Division somewhere in France when in October 1944 Stanley was shipped overseas. I am told there was an occasion when Joseph thought he might be able to meet up with Stanley for a few minutes...... when across the field one day Joseph saw the Chaplin walking towards him.......... he knew he would not see Stanley again. 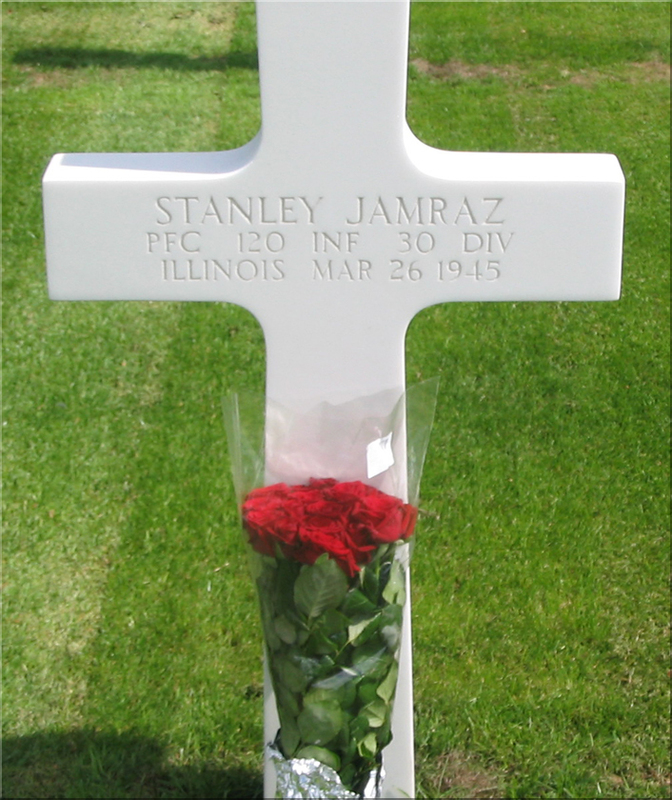 Stanley was the third child born of a family of 10 children to John & Victoria Jamraz who emigrated from Poland. He excelled in school and was a great athlete. 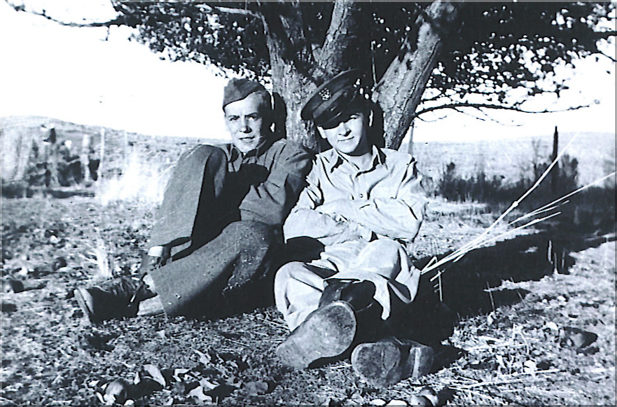 During the "Great Depression" he was one of three million young men who enrolled in President Roosevelt's most popular experiment of the New Deal the Civilian Conservation Corp. One of the Corps projects was in renewing our nations decimated forests by planting over three billion trees. Each month $25.00 was sent to the family back home and he received $5.00. He was assigned to the 9th Corp. based in Nevada. 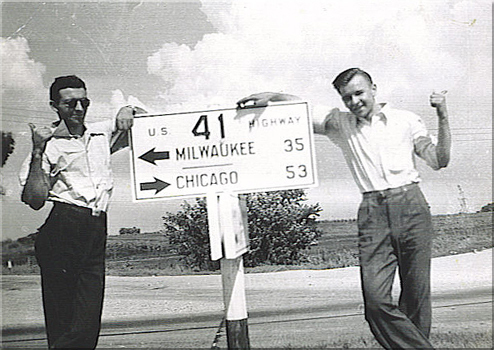 During WWII he received four deferments from military service due to his employment at "Kellogg's Switchboard & Supply Company." He was a handsome guy, a great friend , very kind and always caring brother and son who made our family so very proud of him. He leaves two living brothers Joseph, who served in WW II, Edwin who served in Korea with the 8th Army, 64th Field Hospital, (Helen) and five living sisters. Evelyn, Alice, Jean. Sylvia and Diana. The 30th Infantry Division was made up of the existing National Guard units from the States of North and South Carolina and Tennessee at the beginning of WWII. During WWII, The 30th Infantry Division served in Europe with distinction, and was designated as the #1 Infantry Division in the European Theater by Gen. Eisenhower's Chief Historian, Col. S.L.A. Marshall. Although the 30th Infantry Division was not involved in the actual invasion of Normandy, the 30th served valiantly at St. 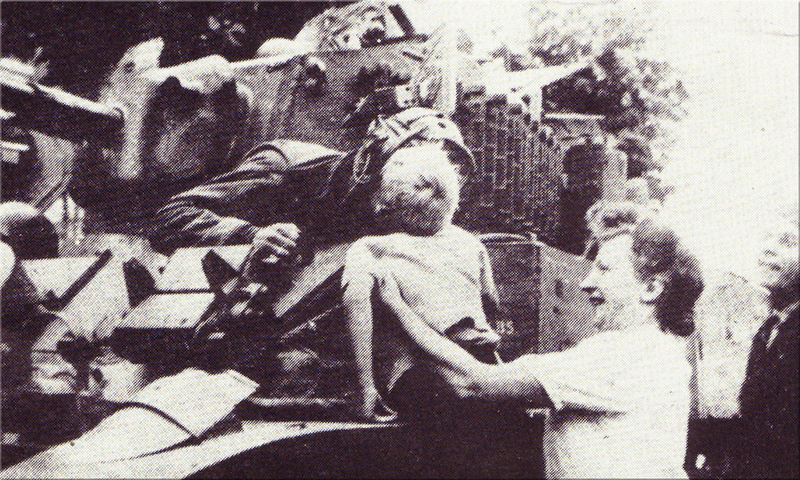 LO and at Mortain in France; it was the first infantry division to enter Belgium and The Netherlands, liberating the southern part of the Dutch Province of Limburg, where Stanley Jamraz found his final resting place. The 30th was also instrumental in breaching the Siegfried Line in October 1944, and the capture of Aachen, Germany, the 1st large German city to be captured by the Allies in WWII.